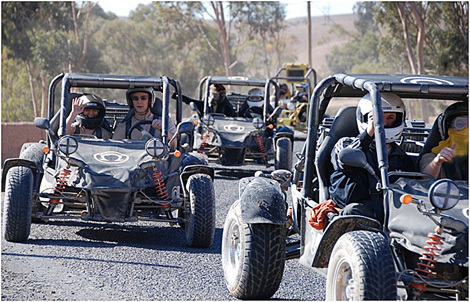 We know you work hard, so why not play hard too and have a load of fun with your colleagues on a buggy ride? 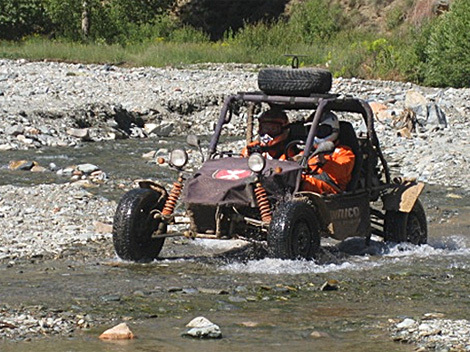 Powerbuggy 1100cc is an extremely high performance machine designed for the serious off-road enthusiasts. 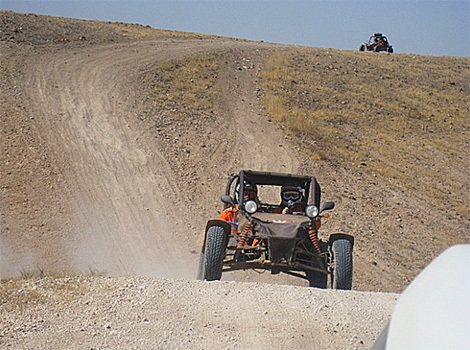 We offer you a totally unique experience to have a taste of speed and adventure in a high performance off road dune buggy. 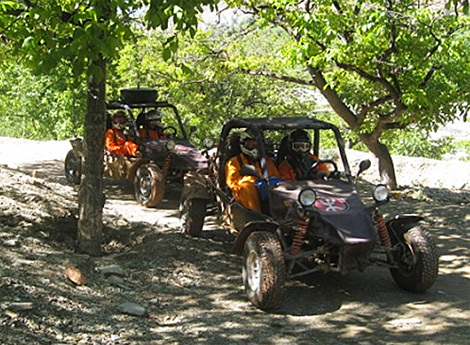 Your professional instructor will brief you thru the basics of off road and handing the buggies. Then geared with your helmet and safely strapped with the racing harness you are set to start driving. Departure from Couleurs Berberes on a dirt track to get used to the vehicles. The dirt track goes up and down the hills passing by the tiny Berber villages in the neighbourhood. Discovering the lake of Takerkoust with a picturesque view on the High Atlas mountains and the summit of Toubkal (4167 m). Afterwards the route takes you through the eucalyptus forest and creeks to end up at Couleurs Berberes. The dirt track goes up and down the hills passing by the tiny Berber villages in the neighbourhood. Discovering the lake of Takerkoust with a picturesque view on the High Atlas mountains and the summit of Toubkal (4167 m). Afterwards the route takes you through the eucalyptus forest and small rivers. 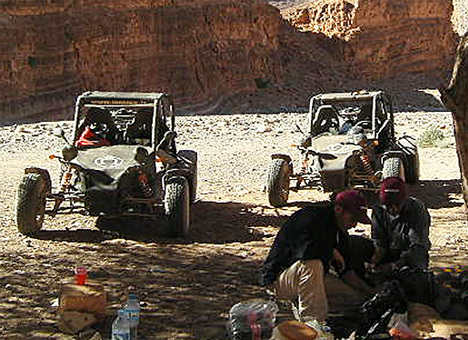 Open air lunch in this peacful corner of paradise.The track continues through the desert of Agafay that guaranees thrilling emotions and an adrenaline rush. Retourn to the resort late in the afternoon. Ensuite nous empruntons les pistes dans la forêt d’eucalyptus, passage par différents oueds puis nous longeons le lac jusqu’au haut Atlas. Passage par le désert d’Agafay avec les franchissements de ses dunes particulières, frissons garanties et la vallée des tortues avec ses gorges magnifiques. Retour à Couleur s Berbères en fin d’après midi. 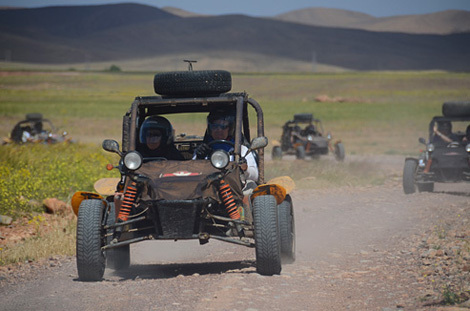 Note:The buggies offer a fast, furious and smooth ride for anyone who loves the thrill. Minimum age is 16 years. All passengers are required to sign a waiver of liability form (16 to 18 years will need a parent/guardian to sign for them).